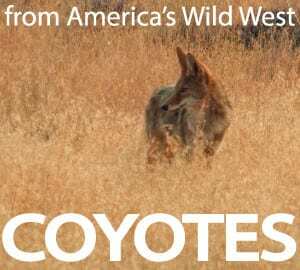 High-quality nature ambiance of wild coyotes in Eastern Oregon’s Great Basin and High Desert Desert Region – classic sounds of the American Wild West. A few during the day, but many at dusk or deep into the night. These tracks are stripped highlights from the hundreds of hours of field recordings I use to make my films. Due to the difficulty and typical distance of recording coyotes in the wild – a number of these tracks are of fainter calls, but with a longer surrounding context of meadowlarks, crickets, winds, etc. There are also several tracks of much closer coyotes that happened to walk near the recorder as you can hear in the samples.